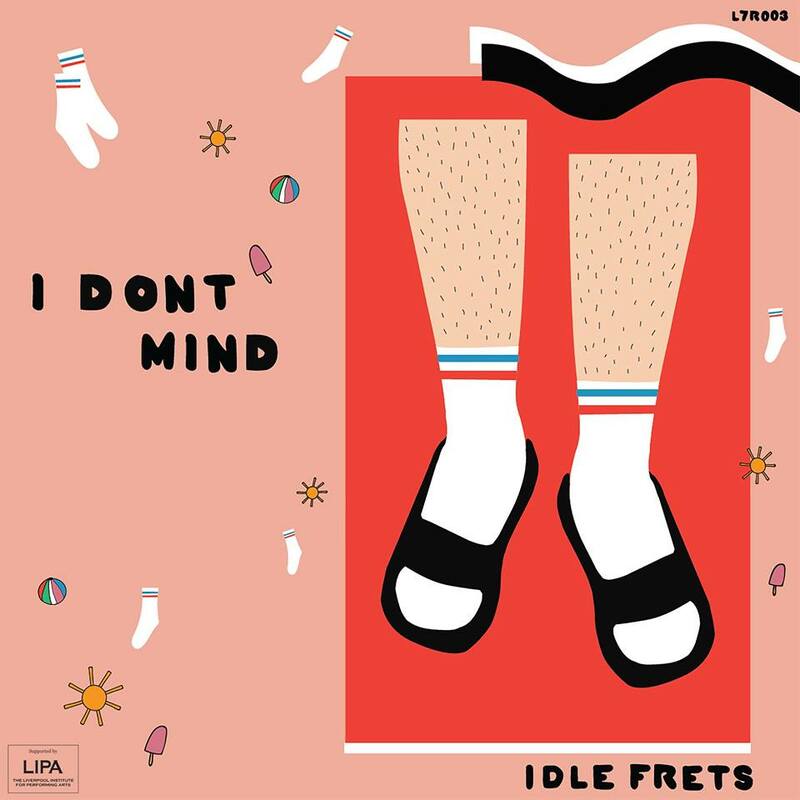 Idle Frets, a four-piece based in Liverpool, have released their latest single, 'I Don't Mind'. As the first single with newly joined drummer, Matt Bankhurst, the quartet move in a direction that appears more developed and mature. What has been quite some time since their last release, Idle Frets have had a while to think about the way in which they move and how they present their new ideas to the world, and it seems that everything they aimed for has been achieved. 'I Don't Mind' is an instant classic that explores the idea of romanticism within bitter emotions through instant pace changes, an outstanding vocal performance from Ben Davies and a vibrant melody that flows seemingly from start to finish. 'I keep repeating the songs that we played', Davies sings with a husky undertone and, perhaps in a sense of irony, is something many listeners will be doing with their most catchy single yet. Leading the track through a temperamental journey, David Hennessy has standout moments that prove the theory that, as musicians, the quartet are performing at their best right now. These particular points don't go unnoticed by bassist, Luke Lewis, who often conflicts these mood-swinging guitar chords with funk influenced bass lines that throw out an infectious feel when it grabs you. What becomes particularly noticeable is Bankhurst's first studio release with the band. Following on from Erin Gibson, who often managed to create a performance that would take her to the forefront as much as any of the others, the new member carries the torch with flying colours whilst introducing a more theatrical tone to it all. Seemingly a landmark for Idle Frets, 'I Don't Mind' presents the newly grown up quartet in a way that suggests we're to take this band as serious as anyone making it big in the UK right now. Without a doubt their best single yet, it's an introduction to something that is about to get a lot bigger and will, in no way, be controlled by anyone other than the four piece themselves. It's instantly likeable but a teasingly good way of hinting at what's to come. It seems it's an exciting time for Idle Frets, and we should be excited with them. 'I Don't Mind' is out now. You can listen below.